We're a family-owned roofing company with over 16 years experience covering West Bridgford with a wide selection of affordable services. From minor repairs through to fitting a whole new roof, we're the professionals to call in the NG2 postal area. For your roofing needs in West Bridgford, call 0115 815 7202. 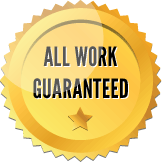 We want you to book your roofing work with confidence, so we provide a guarantee with all work. We're your local professional roofers very much looking forward to helping you.